IR/INFO 2014 a Huge Success! 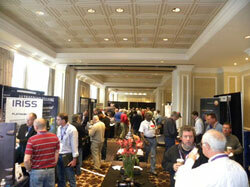 Burlington, NJ February 1, 2014 – Infraspection Institute’s IR/INFO conference was recently held in New Orleans, LA. IR/INFO 2014 marks the 25th anniversary for the advanced training conference, technical symposium and technology expo. IR/INFO was attended by infrared thermographers, PdM technologists, and building inspection professionals from around the world who enjoyed four days of networking, learning, and fun in a relaxed and professional atmosphere. 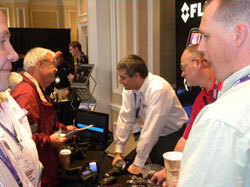 Co-sponsored by Temperatures.com, United Infrared, and Maintenance Technology magazine, this year’s conference also featured the latest in infrared imagers and software from several manufacturers. 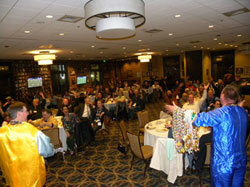 Sunday evening’s Mardi Gras party was a big hit with door prizes going to several lucky winners. Door prizes were graciously donated by Thermasearch, FLIR Systems Inc., UE Systems, United Infrared, IRINFO.ORG, and Maintenance Technology Magazine. 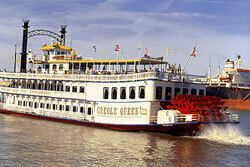 Several attendees took advantage of Sunday’s crisp and sunny weather to roll on the Mississippi River aboard the paddle wheeler Creole Queen. The two-hour narrated cruise provided a unique view of the City and other points of interest along the big river. The cruise also featured a visit to the historic Chalmette Battlefield where the 1815 Battle of New Orleans took place. 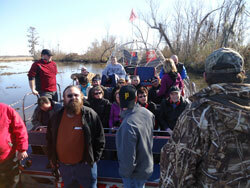 A sizable group a slightly wilder the swamps of conference attendees opted for outing by taking an airboat tour of and bayous in nearby Lafitte. 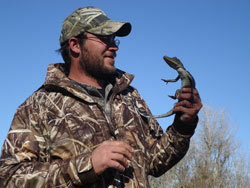 Passengers were able to see several species of birds and mammals up close while the captain, a local native and outdoorsman, shared information on wildlife and local culture. Copies of the proceedings from IR/INFO 2014 are available on USB flash drive by calling Infraspection Institute at 609-239-4788 or by visiting the Infraspection Online Store. 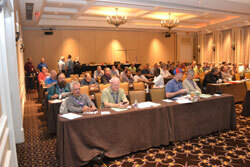 Proceedings include color copies of papers presented and PowerPoint slides from all Short Courses.